A huge well done to all our FiT Prize winners. The manager of the week for gameweek 5 was Ricky Woolridge. Key to victory was the astute signing of Jamie Vardy – who scored a massive 19 points, assisting 4 and scoring 1. Schurrle then climbed off the bench to seal the weekly win. Ricky now sits 3rd in the monthly World Championship – good luck doing the double.. This following data is collated by us here at FiT, we use the most reliable sources we can for this information, but we cannot guarantee it will be 100% accurate as sometimes countries and managers don’t give accurate information about their players. 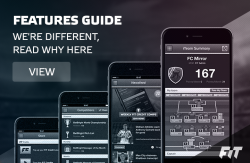 For up to the minute injury updates, follow @FantasyiTeam on Twitter. In GW6 we upped the maximum H2H limit to 400k and the team limit to 15. Your 2 free GW6 transfers were allocated at 4pm Monday, and you have the option to purchase a 3rd. 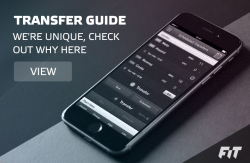 You will receive your GW7 transfers at 4pm on the 30th September. Best of luck in week 5.